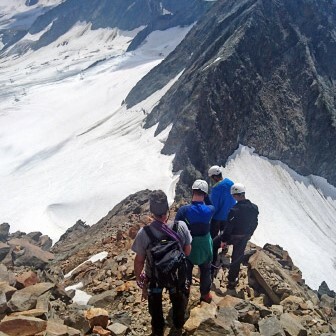 Towards the end of July, 5 senior cadets and 3 staff from RGS Guildford CCF departed from school, bound for the Tirol region of Austria, to take part in a mountaineering expedition. 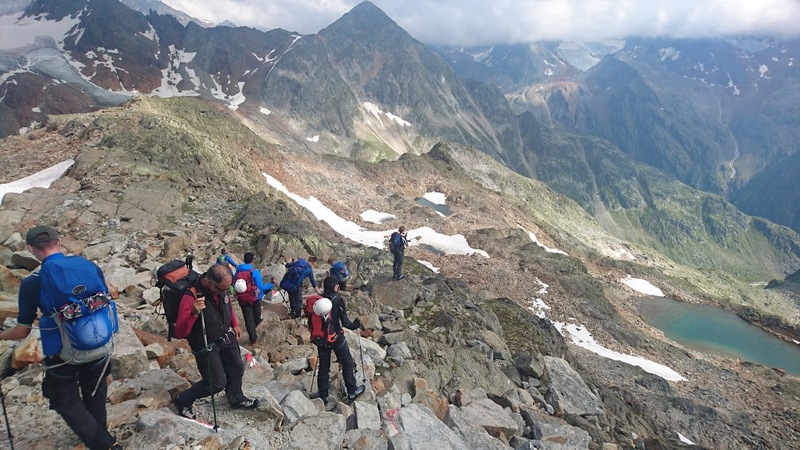 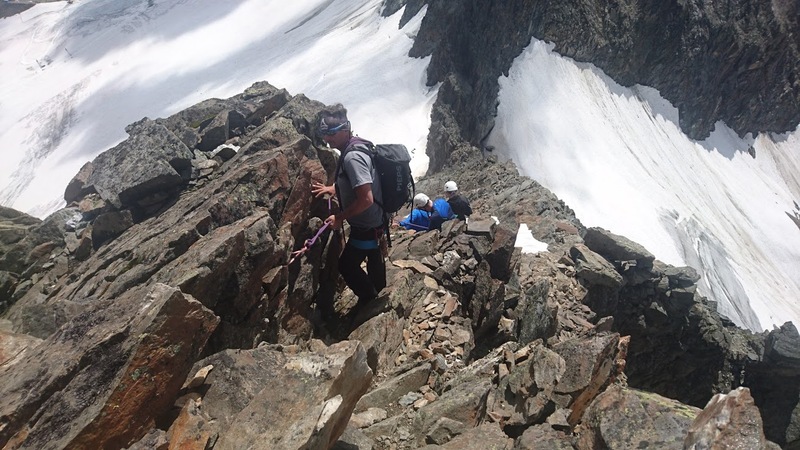 The programme was to include part of the Stubai Hohenweg hut-to-hut, general glacial training, a technical ascent of a peak and an introduction to canyoning. 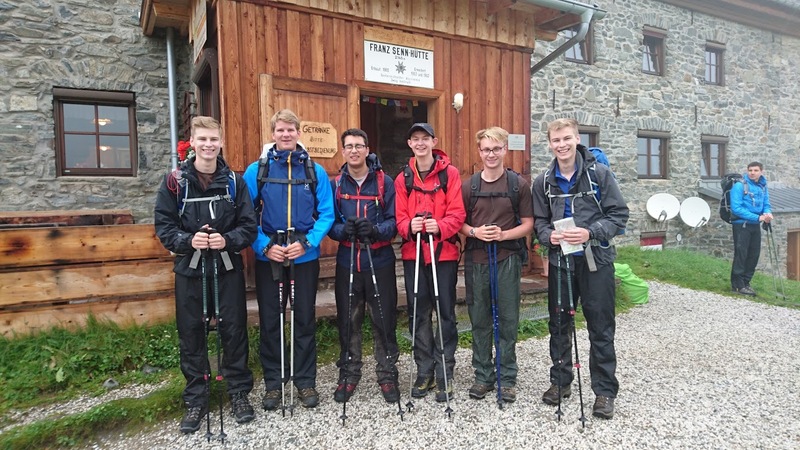 The 18-hour journey by minibus was uneventful and after spending a night in a hotel in Mieders, the team were ready for the hut-to-hut trek. 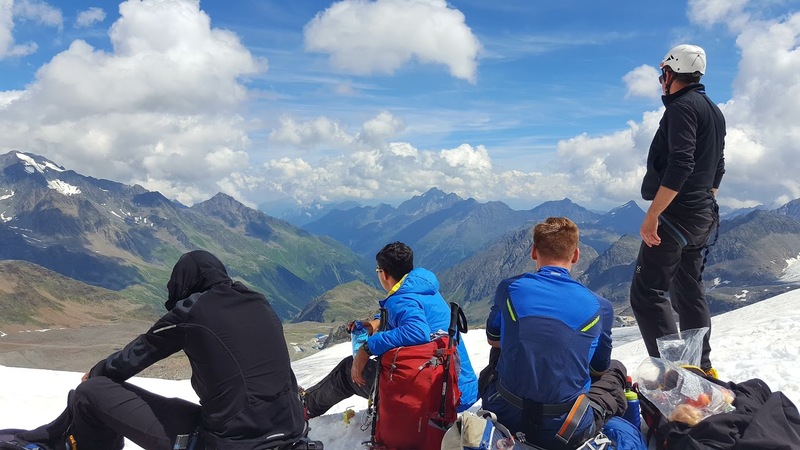 As experienced Gold DofE expeditioners, this was a new experience for the boys, as they were used to having to carry tents, sleeping bags and food. 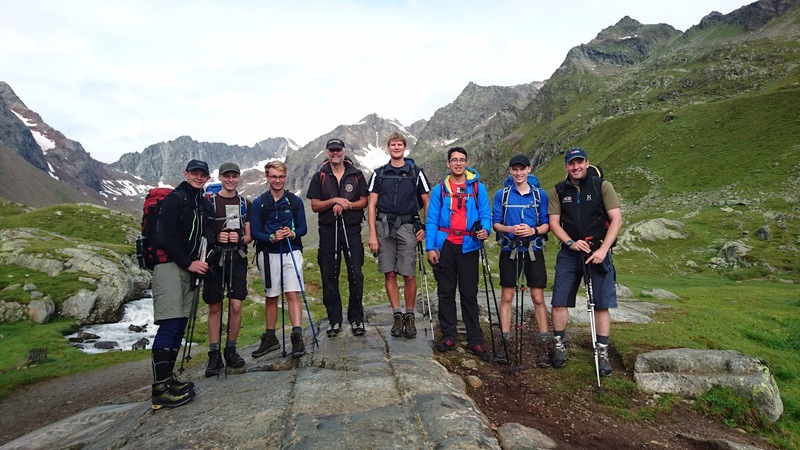 None of these are required as each night the group was booked into an alpine hut meaning that light rucksacks are the order of the day. 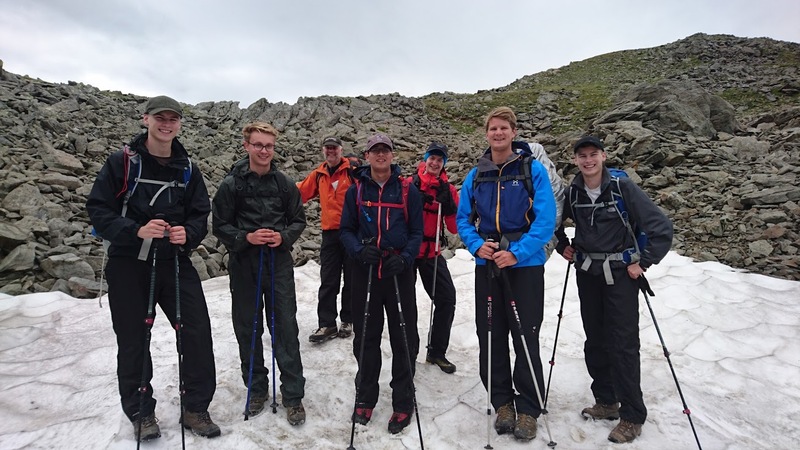 However, as with many British trekkers keeping light, is hard when you are used to packing for many eventualities, which maybe was not a bad thing considering that the team were to experience all 4 seasons of weather, including 50cm of snow! 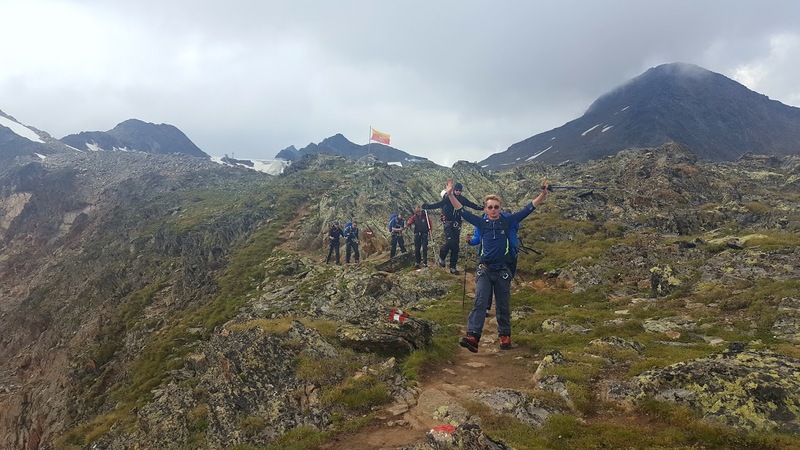 The Stubai high route is known for its incredible views and on day 2, the team were able to appreciate them as the fog lifted and the rain stopped. 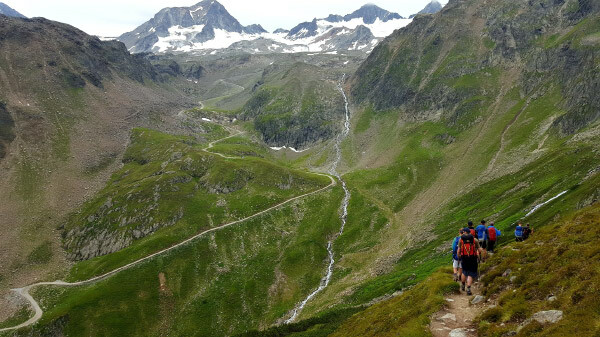 Perfect walking weather was then experienced, with sunshine and clear skies, but not too hot. 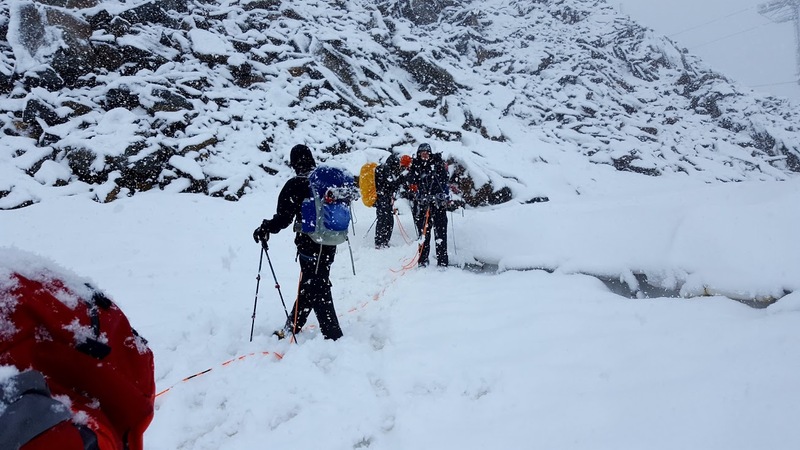 The pace was slower than anticipated due to the steepness of the terrain in areas, which led to some longer than expected days. 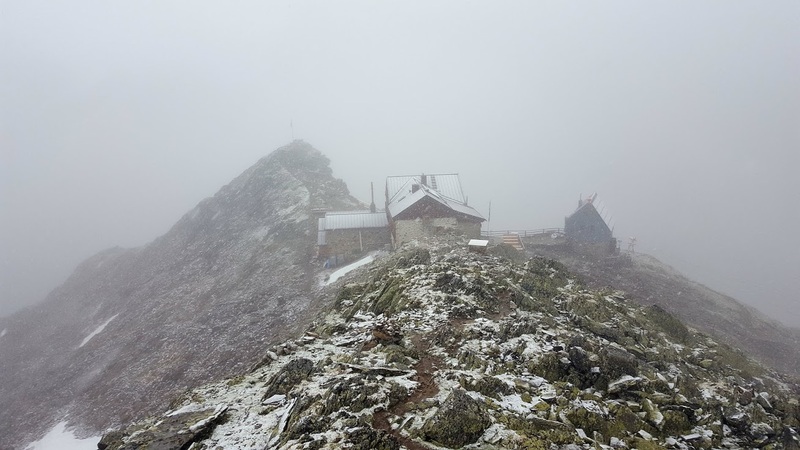 The huts were thus welcome sights each mid to late afternoon. 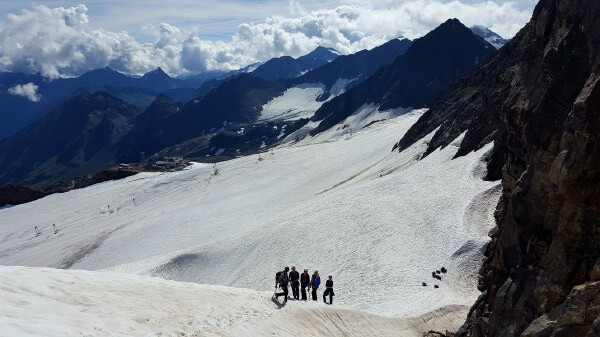 In August, the huts can be quite busy so pre-booking is essential for groups. 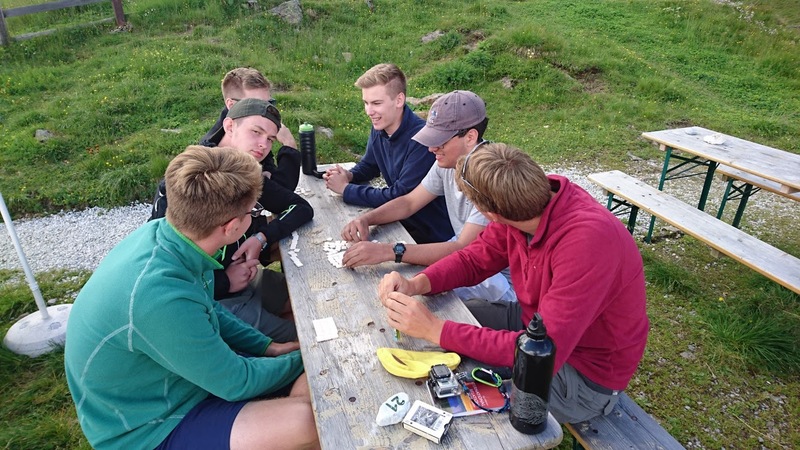 As well as guaranteeing your accommodation and food, it also means that you can move in to the rooms or dormitories on arrival and take advantage of the hot showers that were available in most of the huts. 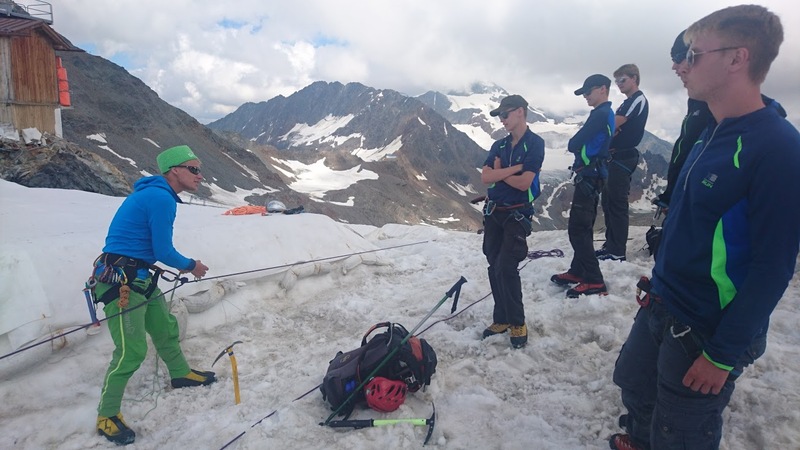 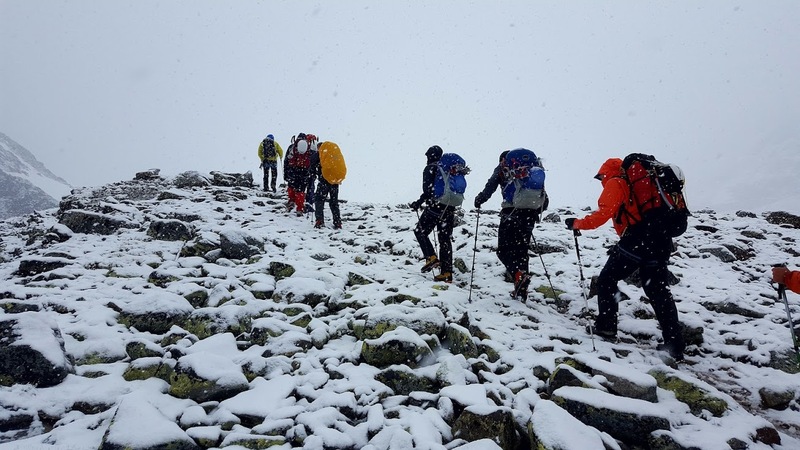 Half way round the route, the group liaised with 2 international mountain guides and donned harnesses, helmets and crampons before roping up to take part in some glacial training. 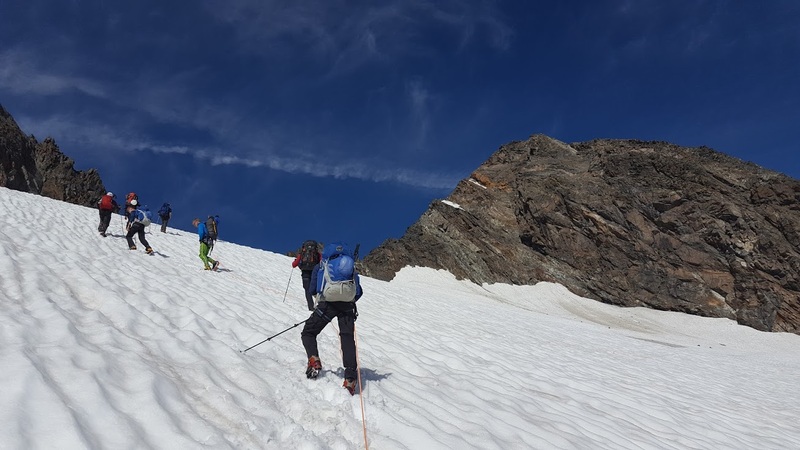 Having proved their abilities and safely crossed the glacier and associated crevasses, the group then climbed back on to rock to begin an ascent of Daunkogel (3,300m). 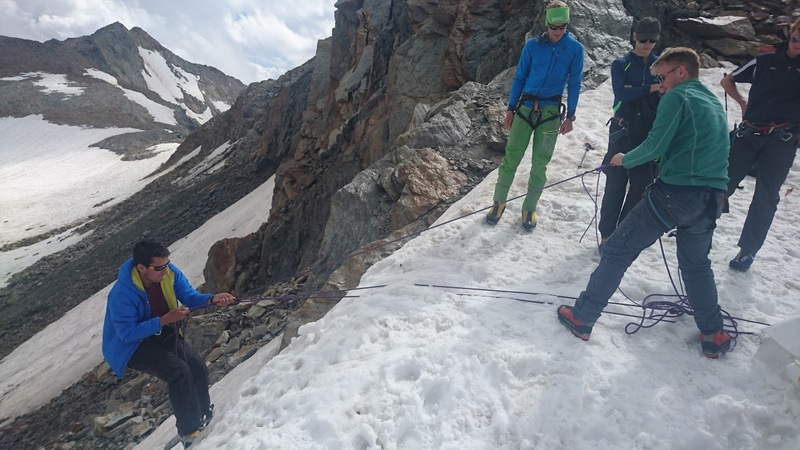 This was an incredible experience, with all team members feeling the exposure on the ascent. 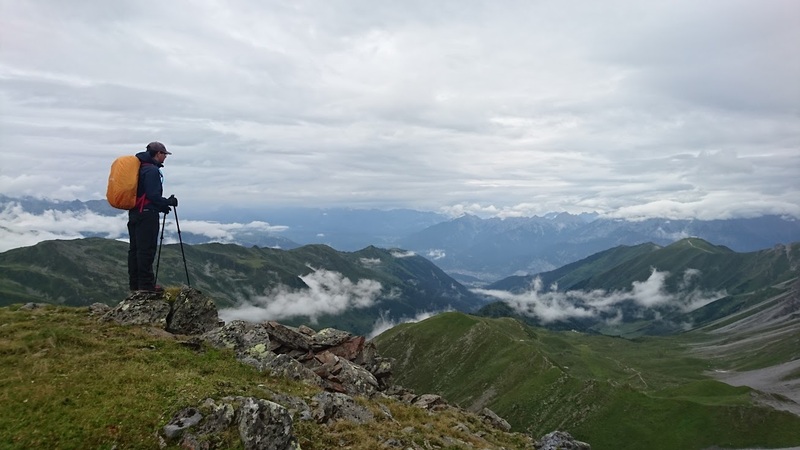 From the top, it was possible to see clouds beginning to build in the distance and thus after a brief stop we continued on our route to the Hildesheimer Hut (2,900m). 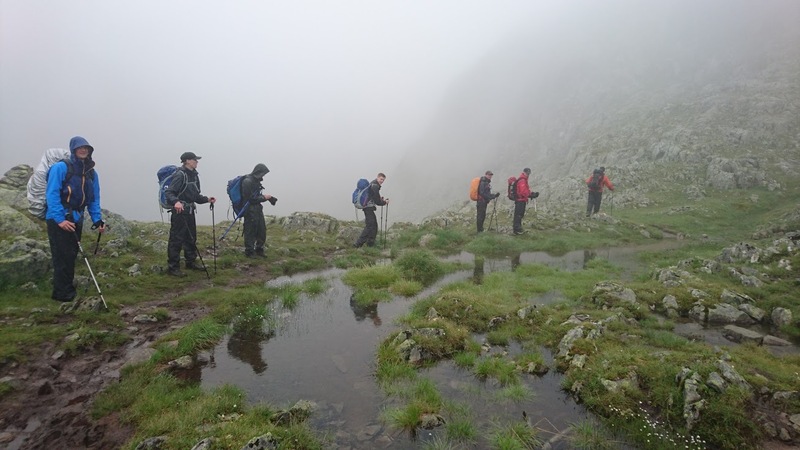 The next day, as forecast, the weather had changed. 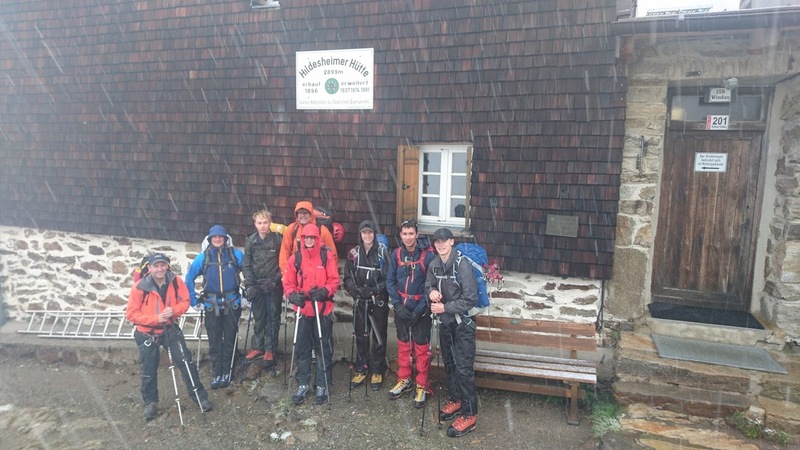 The team awoke to sleety rain, that very quickly turned into snow. 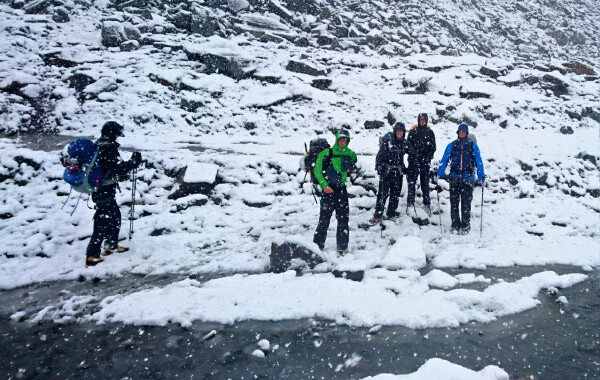 The additional layers and waterproofs that the team had carried were now put to good use as we battled the elements and the poor visibility on our return back to the Stubai Valley. 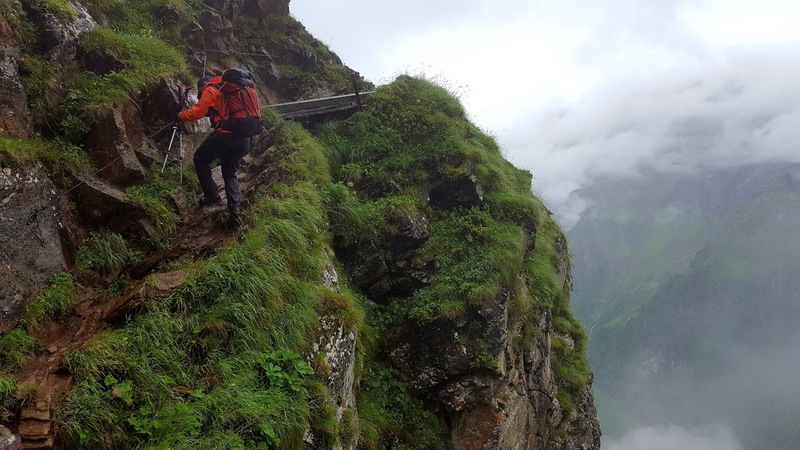 Having reached the Dresdner Hut, the team downloaded in the lift over numerous landslides that had been triggered by the rain and boarded our minibus to relocate to the Otz valley for the final phase of the trip, which was canyoning. 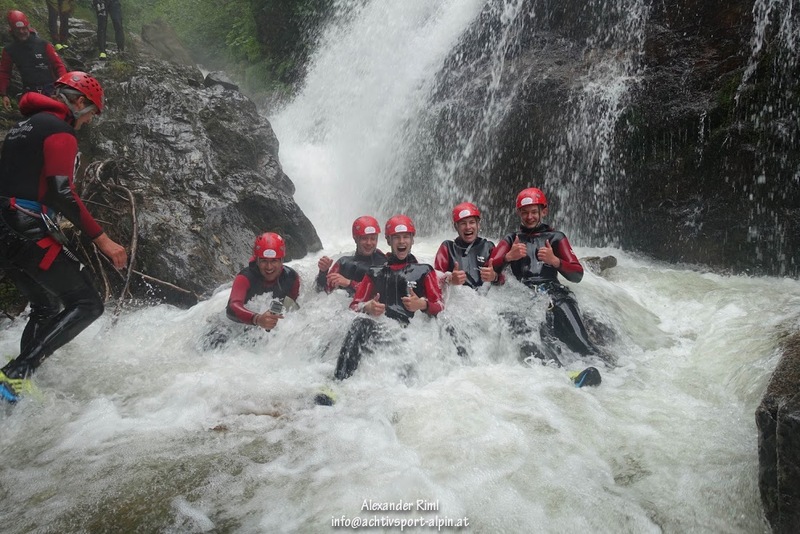 For those people who haven’t been canyoning before, this involves moving down the upper course of a river – wading in the shallows, swimming in the deeper areas and then either jumping off or being lowered down waterfalls when you come across them. 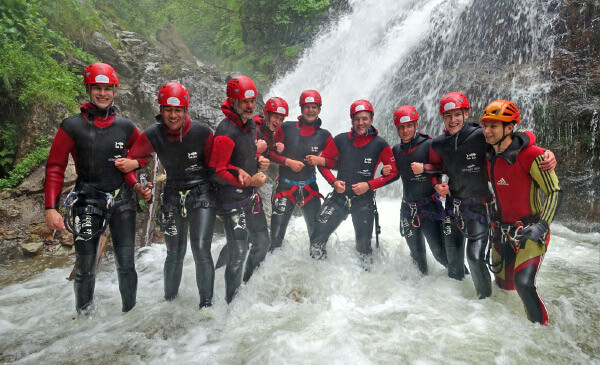 Due to the rain from the previous day, the water levels were high meaning a very exciting canyon tour. 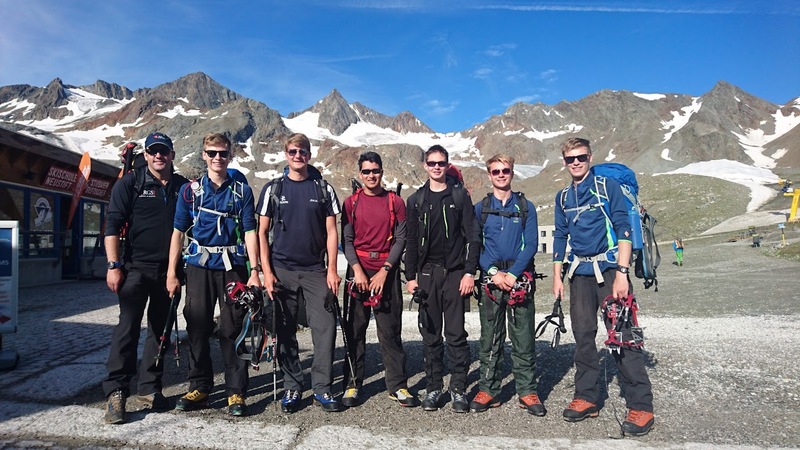 Having rested during the final afternoon and enjoyed a superb final expedition meal, the team began their road trip back to Surrey the following morning, arriving in the early hours of the next day. 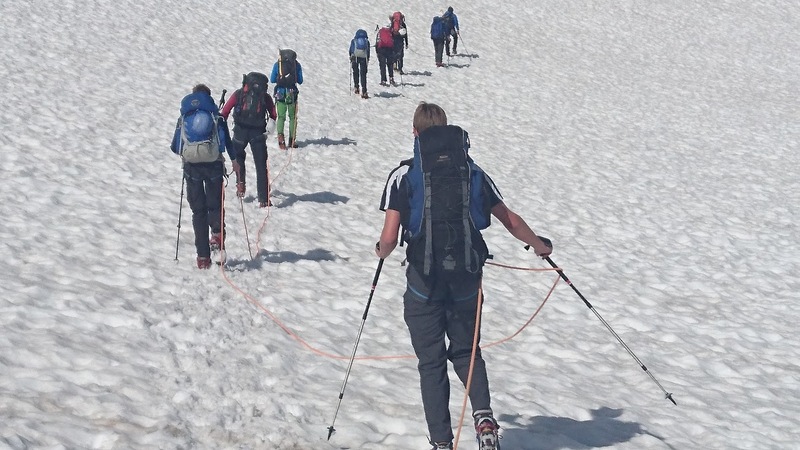 The expedition was enjoyed by all and a great introduction to the skills and background knowledge required for European mountaineering. 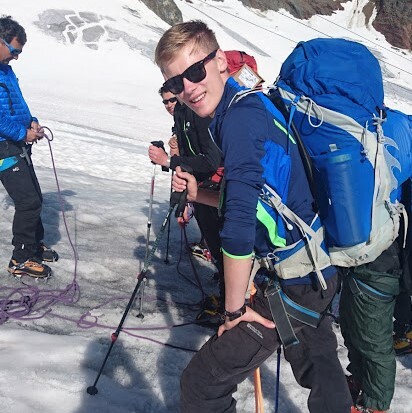 Thank you to the Ulysses Trust for financially supporting the expedition, which combined with grants from the Army allowed for the expedition to be available to all cadets.